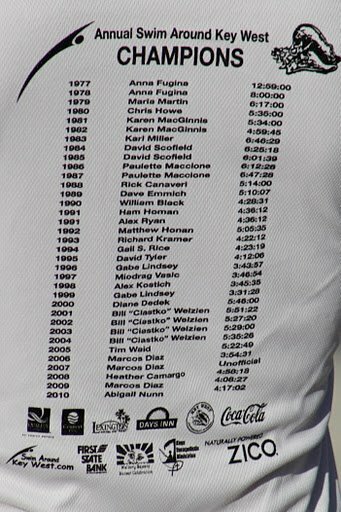 All results are provided by our friends at Key West Southernmost Runners. *Remember that only Wave 2 swimmers are eligible for awards; therefore, Wave 1 swimmers are listed separately. 31st Annual Swim Around Key West: No official results. Swim cancelled mid-race to to weather.